Item # 308902 Stash Points: 7,995 (?) This is the number of points you get in The Zumiez Stash for purchasing this item. Stash points are redeemable for exclusive rewards only available to Zumiez Stash members. To redeem your points check out the rewards catalog on thestash.zumiez.com. 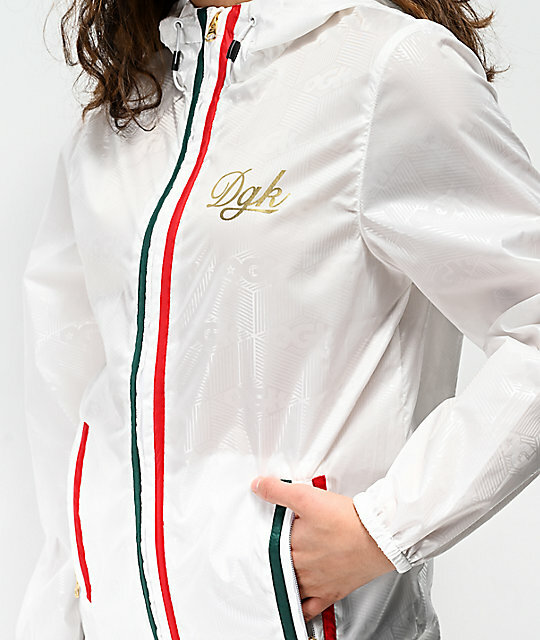 Filled with high-fashion appeal, DGK presents their new Lux White Windbreaker Jacket. 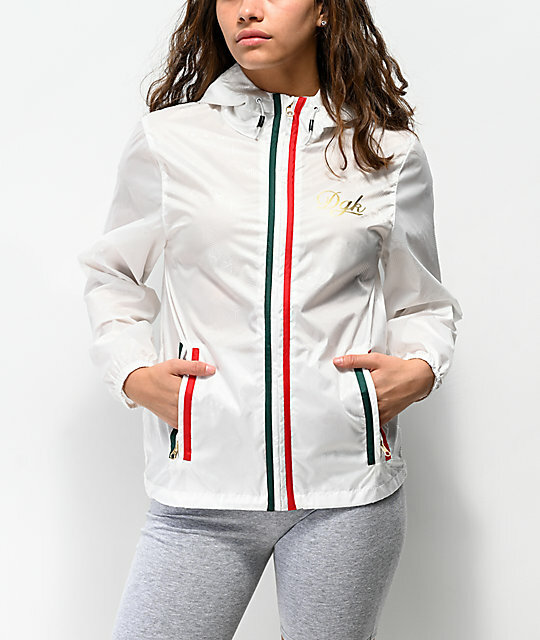 Embodying an extraordinary aesthetic, this windbreaker jacket proudly displays a subtle DGK logo script and striped geometric print pattern throughout, while distinguished with green and red trim located along the zippered plackets. 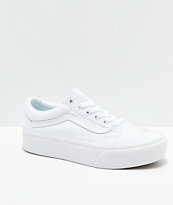 Breathable mesh lining is found throughout the interior while the exterior is constructed with a water resistant coating; a functional, yet very stylish garment for any streetwear fan. 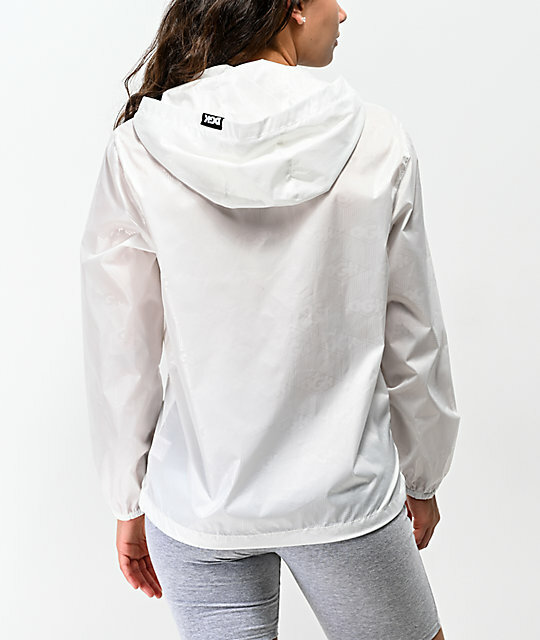 Lux White Windbreaker Jacket from DGK. Subtle DGK logo script and striped design throughout garment. Screen printed logo script on left chest. Adjustable cinch and chord hood with stitch brand tag. Full zip closure with green and red trim along the placket. Two slash zippered hand pockets with green and red trim along zipper placket. Adjustable chord and cinch bottom hem.